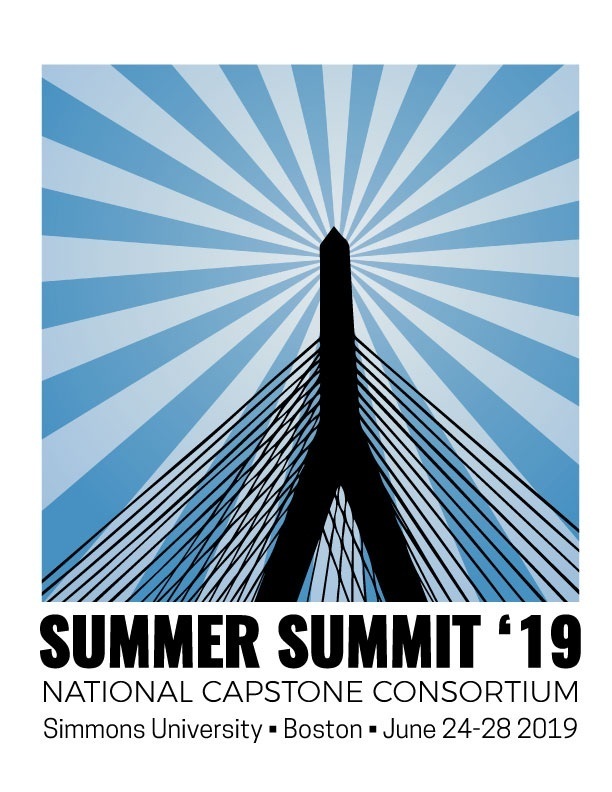 Please join us for the National Capstone Consortium’s 7th annual summit, taking place this year in the heart of Boston, Massachusetts! Capstone and culminating project programs are a growing feature in schools at all levels--elementary, middle, and high school. They reflect the most current thinking about student-centered learning and student-driven inquiry. We are the National Capstone: a collaborative organization of educators helping fellow educators. We share what we are doing in an open-source platform, discussing what works, what does not work, what we are learning from our programs, and how we hope to see them evolve. “Every conversation started with, "What's your Capstone like?" The goal of the summit is to nurture and support Capstone programs wherever they are occurring as well as building a network of peers who are committed to this form of education. Every session of the summer summit is designed to be immersive and to contribute to expanding participants’ thinking about how to build and strengthen these programs. New and veteran programs will benefit from summit programming. Our summit philosophy is PEER-TO-PEER. We embrace the wisdom gathered from everyone involved in Capstone programs, and we offer opportunities to contribute at all levels of this summit, as well as to our consortium. The Unconference model (otherwise known as peer -to-peer (P2P)) is an important aspect of our program design. Carefully planned workshops grounded in years of collective experience build to early session planning, in which the concerns of new participants can be brought to the table. The organic structure allows everyone to participate, and for the summit schedule to accommodate interesting ideas that emerge and deserve exploration. Attendees will also learn about the National Capstone Consortium during this multi-day conference and be invited to contribute to this growing national/international group of educators. Simmons University, founded in 1899, is located in the center of Boston, adjacent to the Isabella Stewart Gardner Museum, around the corner from Fenway Park and Boston’s Museum of Fine Arts, and along the Emerald Necklace network of parks designed in the nineteenth century by Frederick Law Olmsted. It is in the Fenway/Longwood area of the city. The 2019 Summer Summit sessions will take place on Simmons academic quad, specifically in the Main College Building and the Management and Academic Building. 2- TUESDAY (one-day “day trippers” are welcome to attend on this day): Morning group session, Facilitated small sessions, Evening group session. This day provides an overview of Capstone, from start to finish, entitled, “Design, Discover, Deliver”. 3 - WEDNESDAY: Morning group session, Unconference sessions, College admissions officers’ panel exploring how they value and assess Capstone programs and their students, Dinner out in small groups in the Boston area. Here is the full schedule from last year. Attendees have a number of pathways to choose from in this summit, which can change during the program. NEW PROGRAMS: Learn the essential parts of Capstone, from start to finish through programming. The Consortium will, prior to your arrival, partner experienced schools (“hens”) with schools with new programs (“eggs”) to provide support. “Eggs” will be provided with direct support, both during the conference and the rest of the year, from their partner “hens.” This has proven to be a lasting relationship among educators that has helped to nurture new Capstone programs. EXISTING PROGRAMS: Facilitate discussions of Capstone topics often drawn from issues or lessons you have encountered during your Capstone year. Guide a conversation and learn from peers. Work as “hens” with new program “eggs” to support their development . GRADE-SPECIFIC COHORTS:	Collaborate with other schools running programs at similar grade levels in elementary, middle, and/or high school. Intentionally built into the schedule is time to use in a number of ways: work with your team on your Capstone program, collaborate with another school, get advice from an experienced person, relax and recreate (walk, run, etc.). Benefits of the summit go far beyond the daily sessions. The relationships that have developed over the years of the National Capstone Consortium have been lasting and enable schools across the nation to collaborate in an ongoing fashion. Participants often return year after year to refresh, rethink, and recharge their programs and work with veteran programs as well as newcomers to exchange ideas and think anew about their Capstone ventures. OVERNIGHT: Attendees are encouraged to participate in the Summit as overnight participants. Housing is provided at Simmons University. This immersive experience allows for extended conversation, collaboration, and collegiality beyond the daily programming during the summit. All meals, except Wednesday dinner, are included. Cost: $645 per participant (through 6 April 2019); $770 per participant (after 6 April 2019). COMMUTER: Attendees from the Boston area are welcome to attend the entire conference without electing to stay overnight at Simmons, as “commuters”. Lunch is included on Tuesday, Wednesday, and Thursday. Cost: $535 per participant (through 6 April 2019); $650 per participant (after 6 April 2019). DAY TRIPPER: Participants who wish to participate for a single day are invited to attend the Tuesday sessions as a “single day tripper.” Lunch on Tuesday is included. Cost: $215 per participant (through 6 April 2019); $260 per participant (after 6 April 2019). Summit participants who will be staying overnight at Simmons will be housed in single rooms with private bathrooms in Smith Hall OR in two person suites (each with a private bedroom and a private bathroom in the suite) OR in three-person suites (each with a private bedroom and a private bathroom in the suite), all in Smith Hall. Breakfast at Bartol Dining Hall, adjacent to Smith Hall, will be provided for all overnight guests. As part of the registration fee for all overnight guests, lunch on Tuesday, Wednesday, and Thursday is included (at the cafeteria at The Fens) as is dinner on Monday, Tuesday, and Thursday (locations TBA). Here is a campus map to explore Simmons and see views of the various buildings and accommodations. For more information, contact Jon Calos (jcalos@emmawillard.org) at Emma Willard School. It was the single best professional development conference I have ever attended... our team learned more in that hour about how to move forward than we would have learned in several days at a more formal, “listen to this speaker” kind of conference. This was the best educator conference I have attended. Every single session I attended will help the Capstone program at my school!